Curated Stories explores how storytelling has been reconfigured in a neoliberal era and employed in the service of statecraft, soft power, and advocacy. Afghan women, domestic workers, and undocumented youth who told their stories on websites, at legislatures, and in voter recruitment drives were learning to be upwardly mobile, entrepreneurial, and self-reliant neoliberal subjects who exercise choice over their destiny. But the contemporary era has also seen significant challenges to neoliberalism in many parts of the globe, starting with the massive waves of anti-austerity strikes and mass mobilizations that swept Latin America over the last few decades and brought to power leaders who enabled a transition away from the neoliberal model. Under these conditions of heightened social struggle and post-neoliberal governments, what kinds of storytelling projects do we find and what forms of agency and subjectivity are possible? Could we find some examples of alternative and subversive storytelling projects that allow for complexity and context, in pursuit of a politics of transformation? In this chapter, I look at the state-sponsored storytelling workshops conducted through the Misión Cultura program in Venezuela in the mid-2000s under the radical leftist leader Hugo Chávez. Before his death in 2013 due to cancer, Chávez had pursued a program of regional integration and national redistribution based on the vision of the nineteenth-century independence leader Simón Bolívar. The autobiography workshops of the Misión Cultura were instituted in 2005 as part of a broader Bolivarian project. Barrio residents, workers, indigenous people, and peasants across the country were engaged in writing their personal narratives and local histories under the guidance of trained facilitators. 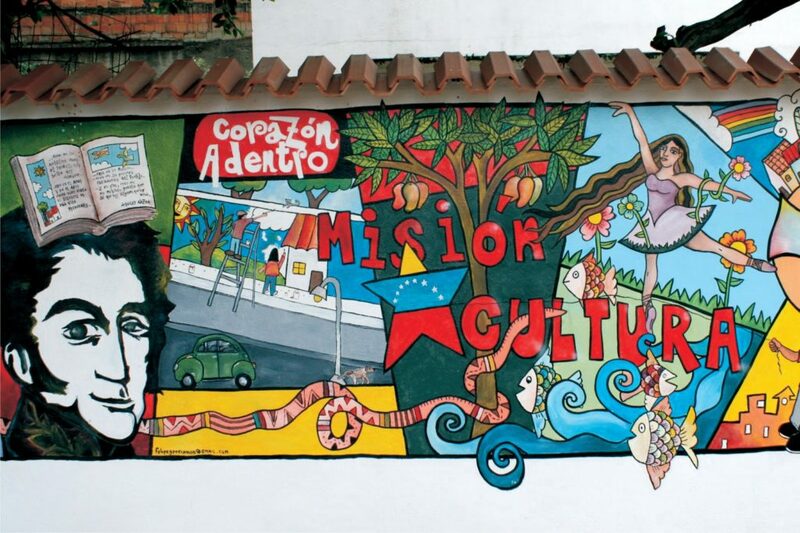 Alongside the other government-sponsored social missions that provided health care, literacy training, soup kitchens, and subsidized groceries, the Misión Cultura aimed to “give words, voice, to us, those always silenced.” The mission sought to build up a popular alternative archive of people’s stories and histories, alongside the official archives that have traditionally defined the national history. 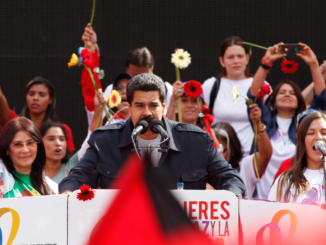 These testimonios …?can build a picture of the vast breadth and depth of popular forces that have participated in the Bolivarian Revolution, forces that continue to work today under much more difficult and constrained circumstances. The anti-neoliberal orientation of the Chávez government and its alliances with social justice movements in the country and across the region enabled distinct options for grassroots social action, and that range is also apparent within the Misión Cultura storytelling project. One option that the Bolivarian project made available was a revolutionary subjectivity with Chávez’s life story as a model. Another option that the Misión Cultura made available was an alternative register for narration that allowed for a decentering of the unitary subject and its location in broader community networks. These two options were taken up in various ways by the participants of the Misión. 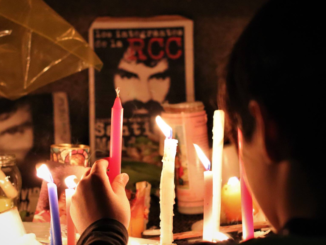 While some participants modeled their life stories on Chávez’s epic tale of revolutionary conversion, others, often those with a strong base in mobilized barrio movements, linked their personal experiences to the collective register—identified by Alessandro Portelli as the life of the neighborhood and collective participation. It is this relinking of the personal, political, and collective registers that made possible alternative modes of storytelling in post-neoliberal settings. The program piloted in 2005 in the Caracas parish of Macarao with 51 participants. By 2008, at the height of the program, some 32,335 people were participating in the autobiography workshops. 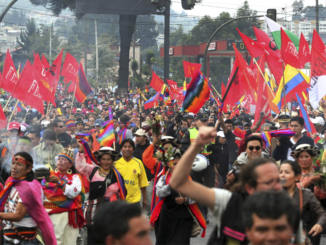 Although these testimonios do not address the current conjuncture, they can build a picture of the vast breadth and depth of popular forces that have participated in the Bolivarian Revolution, forces that continue to work today under much more difficult and constrained circumstances. One testimony collected by Misión Cultura in 2006 is by Ricardo José Guerrero, a cultural activist from the parish of La Pastora in Caracas who suffers from diastrophic dwarfism, completed a story through the Misión Cultura in 2014. He describes his condition in detail: “It involves knotted tendons in all joints of the fingers, elbows and knees, with deformities in the feet and the central trunk of the body.” The key events in Guerrero’s autobiography are focused in the cotidiano, the everyday experiences and struggles of those from the barrio. Guerrero feels ashamed of his physical difference when compared to his “normal” siblings, and because of the neighbors and friends who continually tell his mother that he is abnormal and needs medical treatment. When he is brought to the local Hospital San Juan Dios in Caracas, a medical priest assures his mother that there is no need to operate, that doctors will only want to experiment with him. God has made him this way, says the doctor, and we should respect it. Nevertheless, with mounting pressure from others, Guerrero’s mother takes him to other hospitals where he begins a lifelong experience of medical intervention, surgery, and treatments to correct his disability. As he grows older, he continues to encounter humiliations. The family of his first girlfriend pressures her to end the relationship with him, “simply because I was a midget, deformed, and ugly.” These humiliations were combined with the abuse he suffered when his mother worked as a domestic worker in the home of a wealthy family. He recounts the physical beatings and verbal abuse he received from Erasmo, his mother’s employer. At times the abuse was sexual, as when Erasmo was masturbating in the bathroom and called Guerrero to come inside and watch him. Guerrero’s mother finally makes the decision to leave after one day Guerrero is in the bath and Erasmo enters and slaps Guerrero on his buttocks with the palm of his hands. Every one of the residents was linked together magically, secretly, and in a strange way we all had to deal with one another. There existed ties and affinities that are hard to explain, although every person had their individuality and unique personality, although beyond the door of each house there was a very specific reality, and each of these have very definite shades. Despite everything that can be said of this and that, the barrio is only one. When I go into the streets and begin to explore its places and interact with people, there is another mode of amusement, a motive, a history that connects you with someone or something. Guerrero is speaking of the space of the barrio as a totality that comprises the unique lives and features of each individual, but that is also a space of interdependence where the social ties and links between these individuals based on history, culture, and coexistence produce a feeling of unity. At the same time, Guerrero does not idealize this space of the barrio as one of idyllic harmony, which over time he says became the site for gang wars and violence; he recounts that various friends he grew up with were killed by firearms. I would take a plastic container, one of those that the Parmalat milk came in, a kilo. I removed the bottom and it became a cylinder. I sanded the edges and I bought a red sheet known as Teype, like those that electricians use. I started wrapping it on one diameter, passing it on all sides, in myriad ways, making the sheet stretch until it covered everything, leaving a uniform skin. This is how I made my first drum. 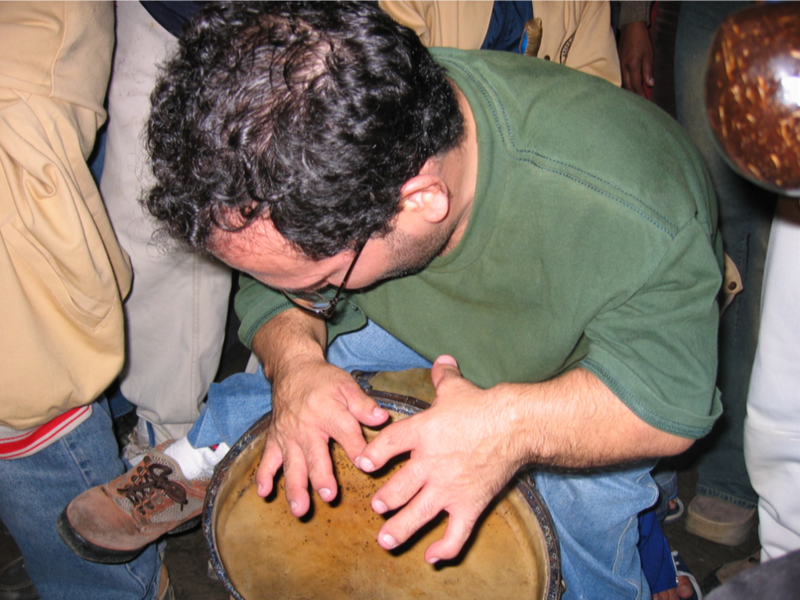 With few resources, Guerrero created his first drum that had a deep and resonant sound. Along with his friends Gusano and Tico, Guerrero formed a Guaguanco band, where they sang and played. Guerrero also liked to dance and although he danced all different kinds of dance, he was known best as a rumbero, a specifically Afro-Venezuelan rhythmic style. As he grew older, Guerrero came into contact with a wide range of musical influences and cultural activists who encouraged him to pursue a more radical agenda with his performance. One of these was a social activist in his barrio Nelson García, who had formed a Cultural Center Las Torres. The way in which García ?talked, with a passion and revolutionary fervor, was exciting for Guerrero. He began to formulate a more critical attitude to the world, to express his own ideas, “in other words, I learnt how to become a critical thinker, dialectic, creative, and transcendental, a man who was a fighter, revolutionary, and rebel.” He worked with García on a play about social injustice in the lives of street children, and they went all over the city presenting the play in different barrios. Guerrero came of age at a moment of heightened cultural activism and regional political uprisings. He performed at a concert organized by the legendary revolutionary folksinger Alí Primera, and his theatre group dressed as guerrillas in solidarity with the FMLN guerrillas in El Salvador. He performed with the radical cultural grouping Grupo Madera, asking Chu Quintero how to play the bongos. Together with García and another friend Javier Sánchez, Guerrero created a group of clowns, calling himself Payaso Pompon, and this became a way for him to earn an income. By connecting the collective space of the barrio with struggles for social justice, over the course of his story Guerrero transitions from networked collective subjecthood to what Margaret Mills refers to as the “activist collective subjecthood of the testimony genre.” This represents an alternative form of political agency to that of the self-reliant and individual revolutionary leader. As the various urban communities confronted government plans for urban remodeling and relocation of barrio residents, Guerrero and García formed a drumming group known as Drummers against Displacement (Los Tambores en Contra de Los Desalojos). Later, with the Experimental Group Example of Friendship (Grupo Experimental Ejemplo de Amistad, GEEA) in the barrio Las Torres, they campaigned to name a park after Alí Primera, who had died in a car accident. Guerrero worked closely with a network of local organizations in Las Torres and La Vega, including the Cultural Center Los Torres and the Grupo Caribes de Itagua of El Gordo Edgar. All of these groups engaged in specific local actions, but they met frequently to discuss and debate ideas, as well as to start up their own newspaper known as Los Incultos (The Uncultivated). 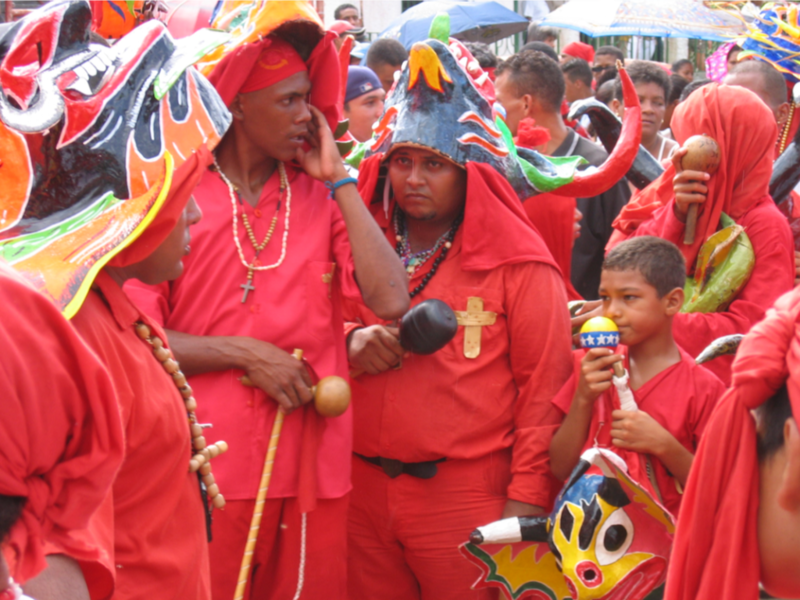 They also collaborated in the yearly religious festivals of Cruz de Mayo, the Comparasas, percussion workshops, and other activities. Although Guerrero’s cultural activities and political involvement come from his location in the everyday space of the barrio, this space is also shaped by various state agencies and private foundations. Guerrero says that he studied in percussion workshops organized by the Fundación Bigott, a philanthropic organization set up by British American Tobacco, which invested heavily in the field of culture as a way to promote itself after tobacco advertising was outlawed in 1981. He also worked as a cultural promoter under the Chávez administration with the cultural institutions Fundarte and the National Council for Culture (Consejo Nacional de la Cultura, CONAC). This is similar to Peraza, who mentions his cultural work with the Ministry of Education, CONAC, Montessori schools, and the municipality. On December 15 at 9:00 pm, in the year 1999, a large tree behind our house at the top of Los Mercedores and Las Torres collapsed. It had been raining a lot for the three days prior. The rancho was inundated with water and mud. I was out of it, stunned in this moment. I didn’t want to leave the rancho and lose everything. Before the walls collapsed, I rushed out, thanks to Wuilfredo, a neighbor and Morao’s brother-in-law, who shook me out of it and made me react by letting out a loud scream. Five minutes passed after I left the rancho and suddenly, in fractions of a second, the walls fell in of what was my home. I was in shorts and without a shirt, with the rubber boots that I had on in this moment. All of our belongings were now in the mud. ? The collapse of his home is a defining moment in Guerrero’s life because of the way it alters his life circumstances, forcing him to live with many others in a makeshift camp that was to become his home. It is these daily struggles—of housing, transport, sanitation, and then dislocation—as well as the collective space of the barrio and the cultural activities he is involved with that shape the specific form of consciousness and agency that undergirds his narrative. Community-based activism extends to Guerrero’s time in the relocation camp in the Parque Recreacional Sur. After facing depression, isolation, and dependency on his mother, he began working with the Unified Social Fund (FUS) to organize people in the camp. He convened assemblies in order to name work commissions, and he gave percussion classes to children in the camp. He taught the children origami, organized sport activities, and managed to find spaces for the children in local schools. In the camp, he ended up meeting a woman, María Ariza, who became his long-term partner. 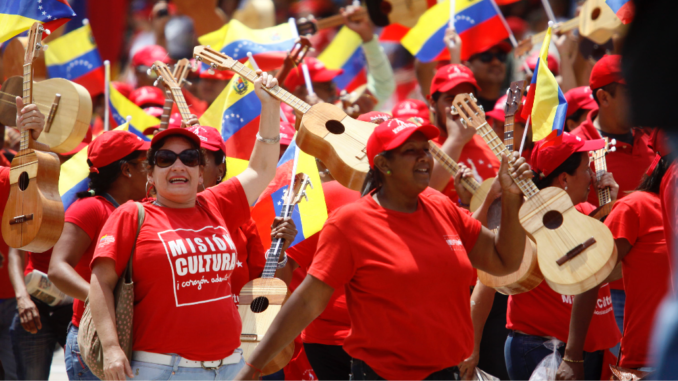 We were able to invite many Afro-Venezuelan musical groups from Caracas. . . . Also attending were social and community organizations, social fighters and revolutionary youth from distinct places and distinct organizations. We try to convert the Velorio de Cruz into a great meeting of brothers, of friendship and solidarity and full of commitment to struggle. It is not only the magical-religious, the mystical, the deity, and the devotion to the Cruz de Mayo. It also implies organization, the search for spaces to share as a community, and recognize each other as brothers united by a single topographical identity, with the same needs and sharing the same reality. There are many definitions of culture in Guerrero’s description. There is culture as spirituality, culture as a way of being, culture as a means of organization, culture as the space of collective life, and culture as a vehicle for cultural identity. Culture is intrinsically connected with the everyday life of the barrio, what Frantz Fanon has referred to as the zone of occult instability, from where alternate modes of subject-making and radical forms of agency can become available. May not be reprinted without เล่นคาสิโนออนไลน์ให้ได้เงินpermission.